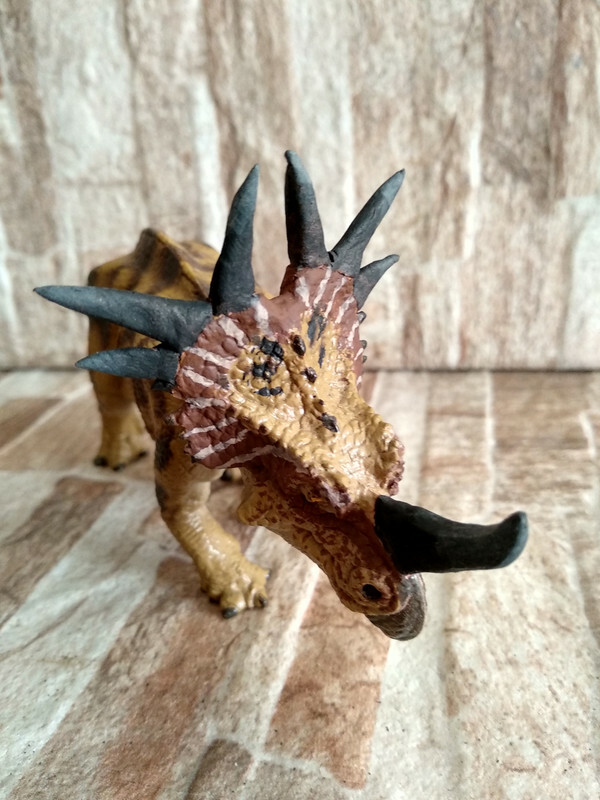 This poor guy sufferd from lots of accidents, it lost a finger, a feet and one of it's cheek horns before finishing it, at the time of the photos is still missing the finger actually. Aww, it's adorable! How big is not? Looks small, which makes it even more challenging to sculpt. I like it a lot, good muscle definitions on the body and legs. Keep it up, so much improvement with each new sculpt. Thanks Boki! 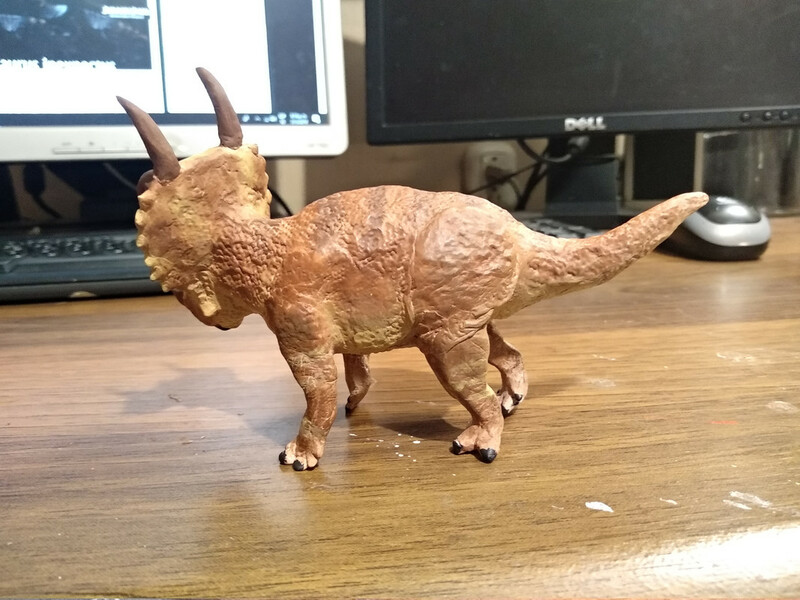 I don't remember exactly it's length (I measured it when I baked it about two weeks ago) but it's smaller than Safari's Psittacosaurus. 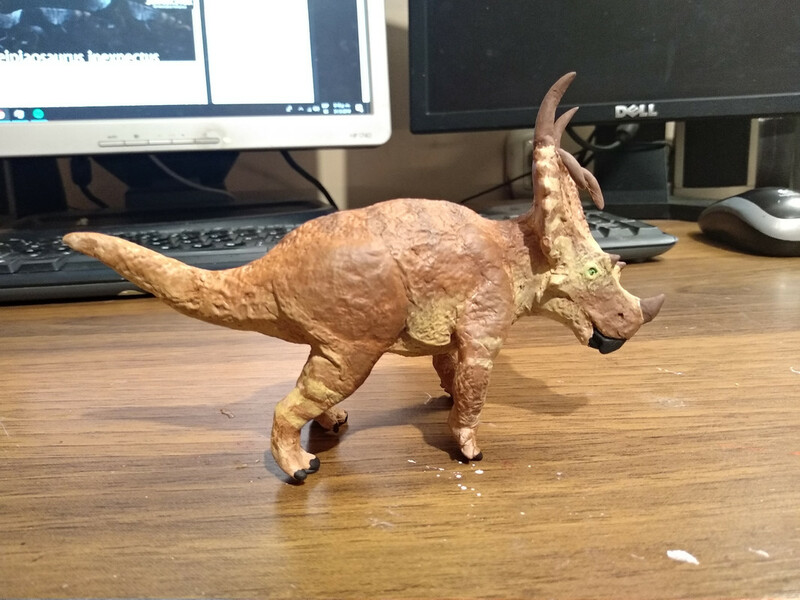 The right front leg looks stiff and it's weirdly posed and has other problems but I wanted to see it painted and move on to the next experiment hehe. 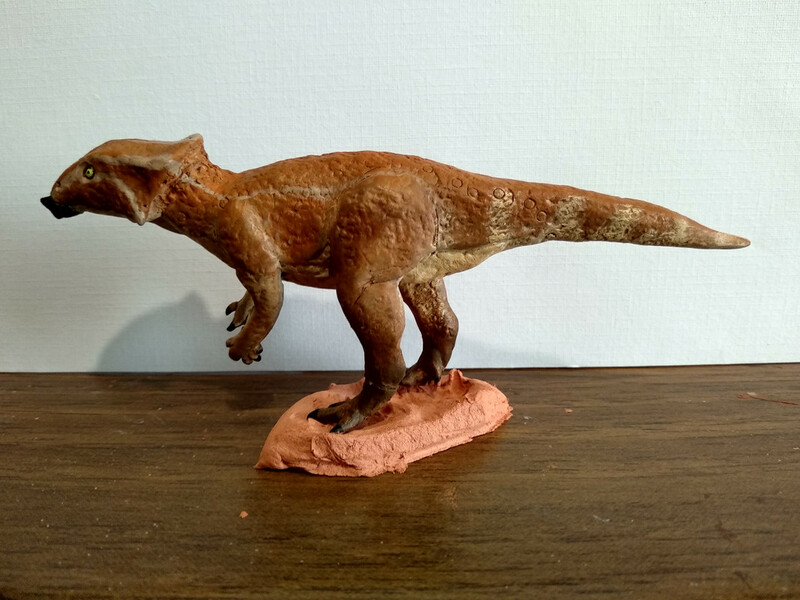 I once tried adding clay to a figure and it turned out much worse than this! Aww, I like this one a lot, it got lots of personality on the head. So what exactly was this originally? Was it one of yours? Is this durable enough? 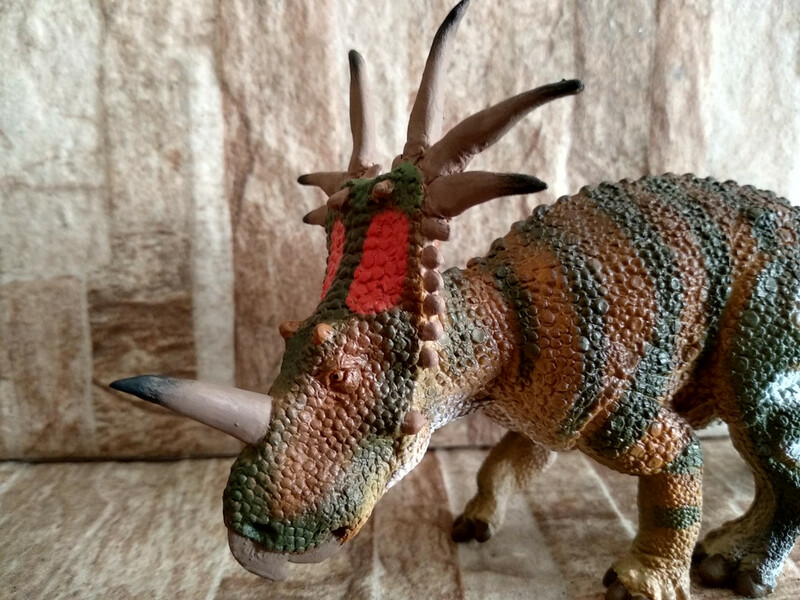 I say you should make a new one since this is so awesome, I really like the head sculpt, it captures the animal it represents. Thanks Boki! 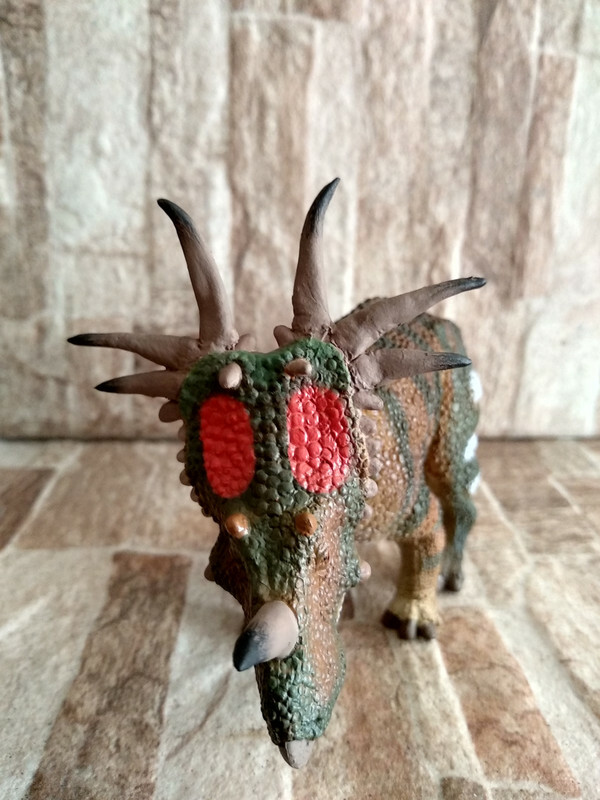 This was the older Safari Styracosaurus, I had it on my bookshelf since I was running out of space so I took the few duplicates I have there. 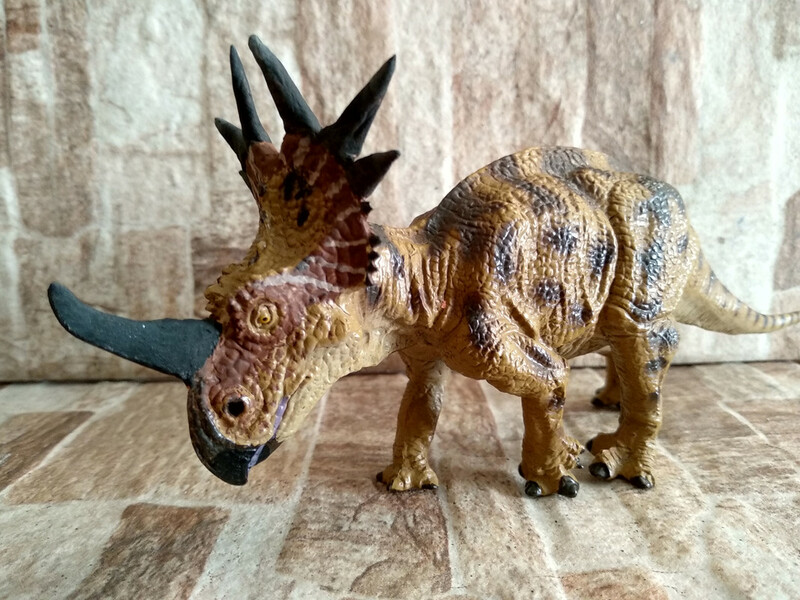 Someone probably thought it wasn't part of the main collection and gave it to my nephew and took it outside so it got chewed by something, most likely a dog. That way it looks kind of leaning to the front because the original had a foot raised and now has all fours on the ground. 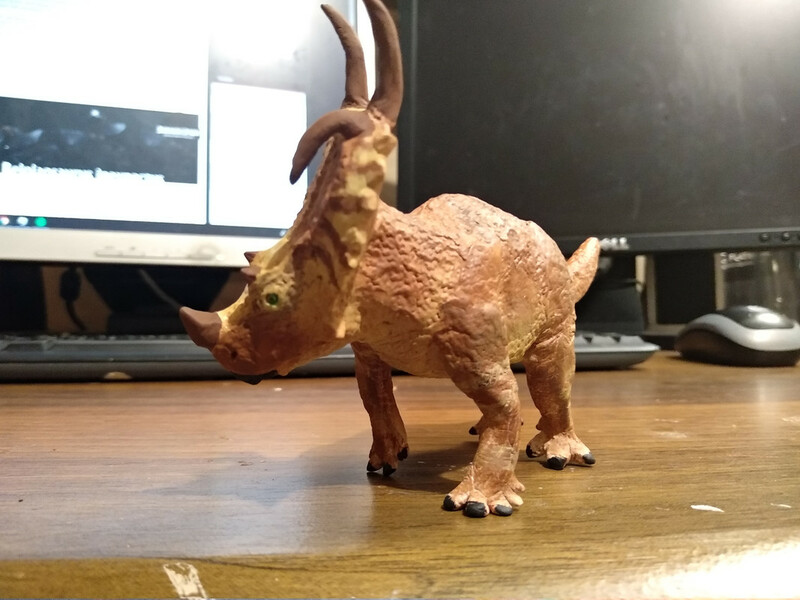 It's made of the same clay that some of my other sculpts like the Leptoceratops and Othnieliosaurus so I guess it's durable like those. 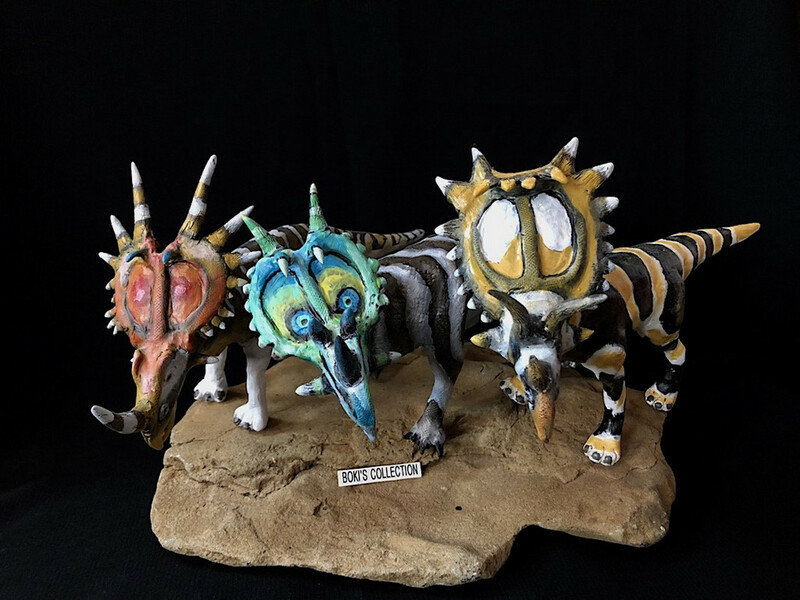 I made some "customizations" (just some spikes adjustments actually) to two of my ceratopsians: first I changed the Favorite Styracosaurus spikes to make it look like a Rubeosaurus. I think I could have made the top spikes tips to be closer. 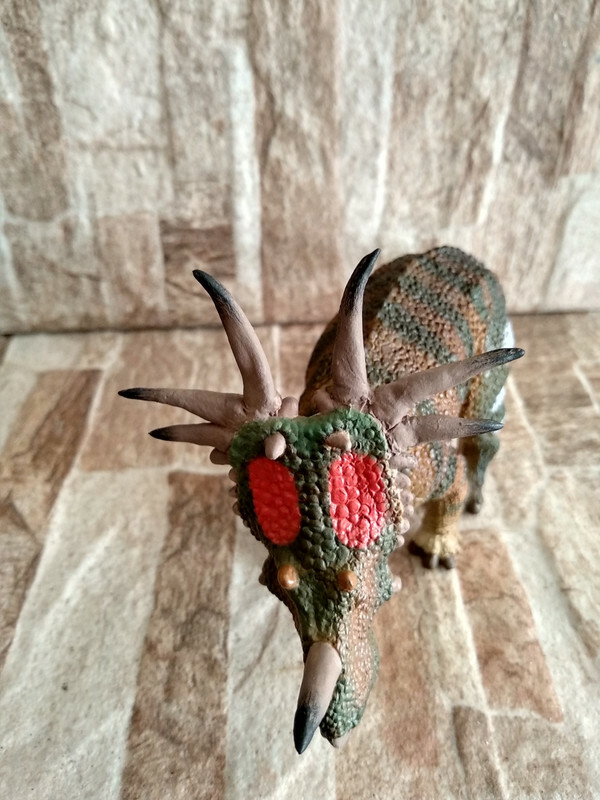 I this changes look nice, I'm quite pleased with the Rubeosaurus but the Styracosaurus made me so nervous. They aren't perfectly smooth in shape but I think in reality this kind of structures are not always perfect either. @Jose S.M. 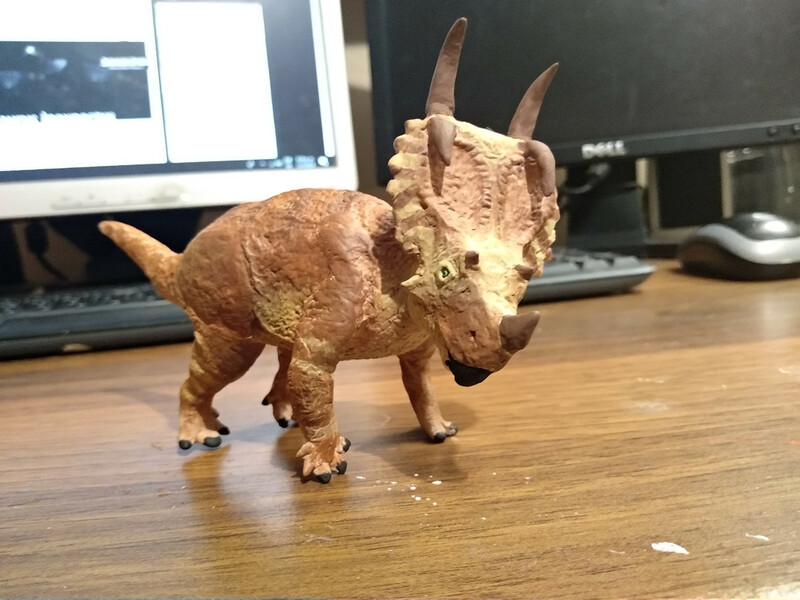 Jose you have done some small works of art in relation to Favorite styracosaurus you are doing a great job.